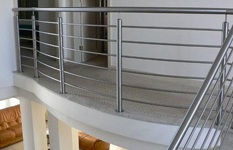 We manufacture and design Stainless Steel Balustrades to any specification. 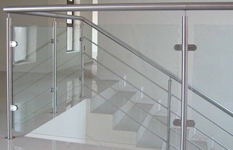 We also offer a combination for both Stainless Steel and Glass Balustrades. 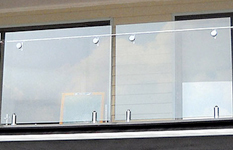 Your specialist in commercial and domestic Stainless Steel and Frameless Glass Balustrading. At Aluminium Solution, we specialize in commercial and domestic Stainless Steel and Frameless Glass Balustrading. We strive to ensure that our clients are fully satisfied with our installation service, products and professional advice. At Aluminium Solution, we use top quality materials to ensure the long-term investment is one that you will remain proud of. Couple that with our professional team of installers and you can be certain that Aluminium Solution is the correct partner for your next Frameless Glass project. Beyond our installation offerings, we are also the team to call for any repairs to existing frameless installations.